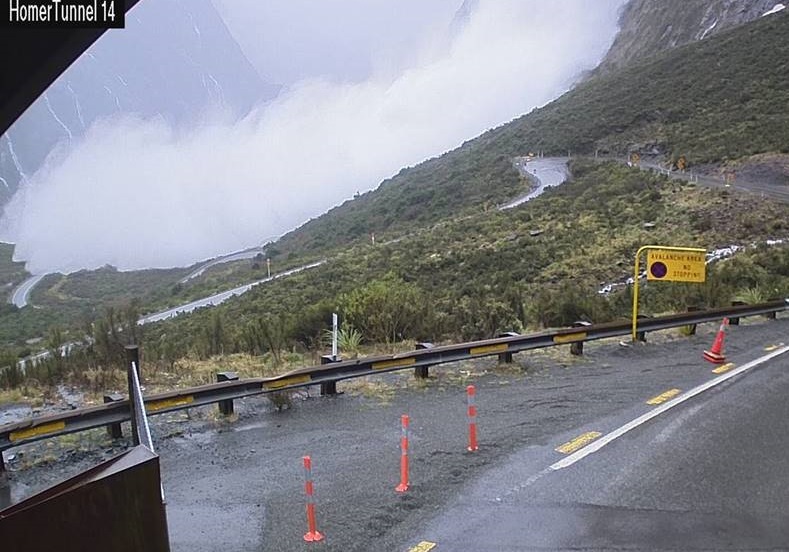 The Milford Road will remain closed for another day due to avalanches in the area. Forecast heavy rain on snow meant State Highway 94 was shut on Saturday as the risk of avalance was high. The Milford Road Alliance said there had been many avalanches seen in the area on Sunday morning. The road would remain shut from the Hollyford Rd Intersection to Chasm Carpark. The weather was expected to improve on Monday morning, allowing the avalanche risk to be assessed before the road could be reopened safely, the alliance said. Heavy rain was expected about western parts of the South Island today while the rest of the country is in for a mostly fine day. MetService has a heavy rain warning in place for the Westland Ranges from Otira to Franz Josef Glacier, and for Westland from Franz Josef Glacier southwards. The same warning was also in place for the headwaters of the Otago rivers and lakes and Fiordland north of Doubtful Sound. Looking ahead, a front over the South Island moving slowly northeast would weaken over the North Island during Monday and Tuesday, bringing rain to most areas of the North Island. On Tuesday, a weak cold front should move northeastwards over the South Island, followed by a ridge early Wednesday, MetService said. Then, an active front was expected to move over the south of the South Island from the southwest on Thursday, bringing rain to the south and west of the South Island with some heavy falls, and strong northwesterlies to eastern areas ahead of the front.